You are here: Home / Grooming / Groom me gently, I am scared! Groom me gently, I am scared! If your pooch is scared of the grooming brush or the water-filled tub, it’s advisable to go slow and make him comfortable with the grooming tools. Let’s see how. Make grooming session a routine. A short 5-10 minutes session would be fine. Equip yourself with grooming tools, lots of treats and of course your love. Don’t touch your pooch with these tools, just keep them close for the first few days. Let him smell them and touch them himself. Keep the session joyous and end on a happy note, with love or treat. Once your pooch becomes accustomed to the sight of the grooming tools, touch him with the back of the brush. Praise him with a treat. Slowly, start brushing him gently. Make it a routine and follow it religiously. If your pooch is deeply matted and he is afraid to be brushed, take him down to a professional groomer and if shaving is a solution, go for it. But remember double coat dogs should not be shaved. Once he is shaved, follow a regular grooming routine to make him used to the session and avoid matting again. 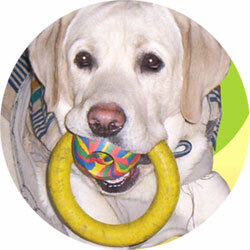 You can choose a soft rubber brush for your scared doggy. If your dog is afraid of bathing, take him near the tub and give him treats. You can even feed him the treats in the tub. Keep a non-slip mat at the bottom of the tub. Once he gets used to it, fill in a little water into the tub. Increase the level of water slowly and then you can bathe your doggy beautiful. http://www.dogsandpupsmagazine.com/wp-content/uploads/2008/07/grooming1.jpg 134 250 Dogs and pups Magazine http://www.dogsandpupsmagazine.com/wp-content/uploads/2017/05/1254nal.jpg Dogs and pups Magazine2008-07-21 00:00:002014-02-07 17:48:59Groom me gently, I am scared!